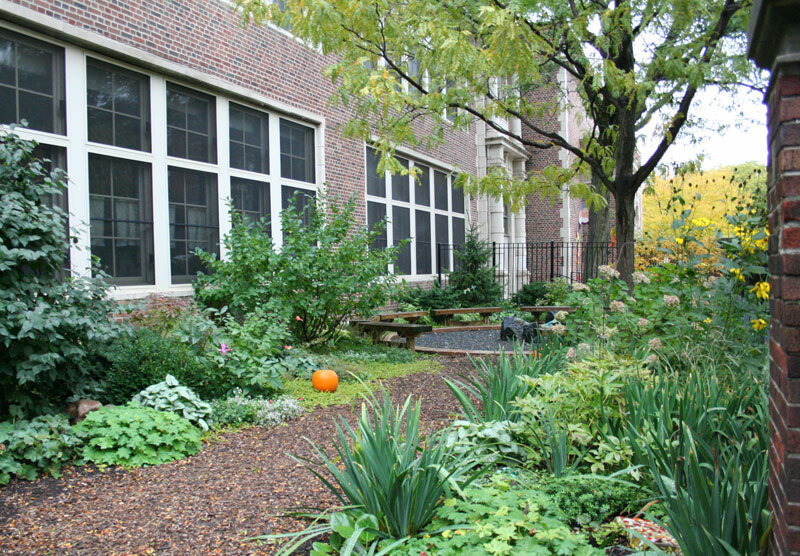 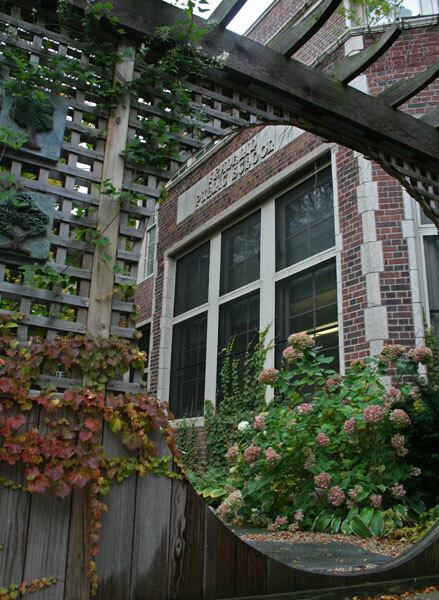 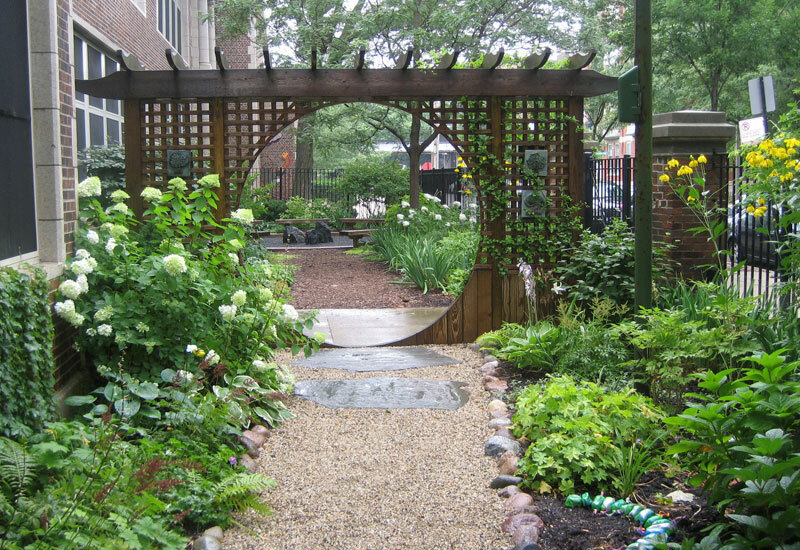 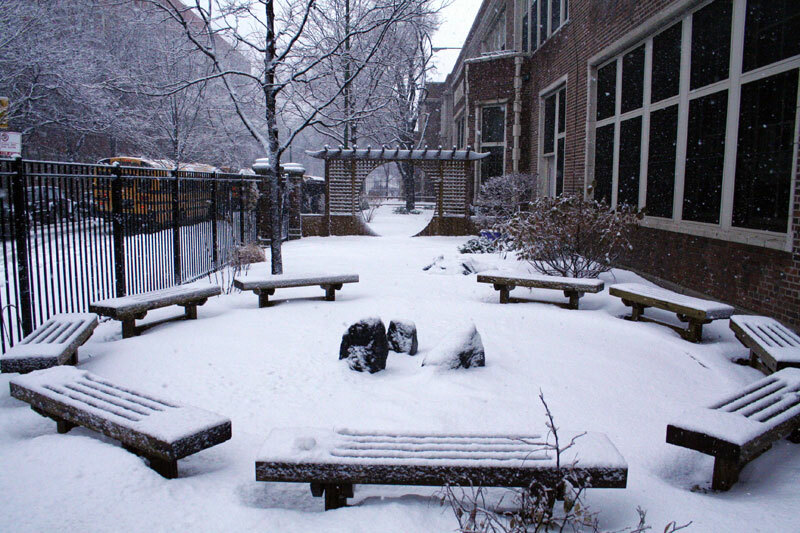 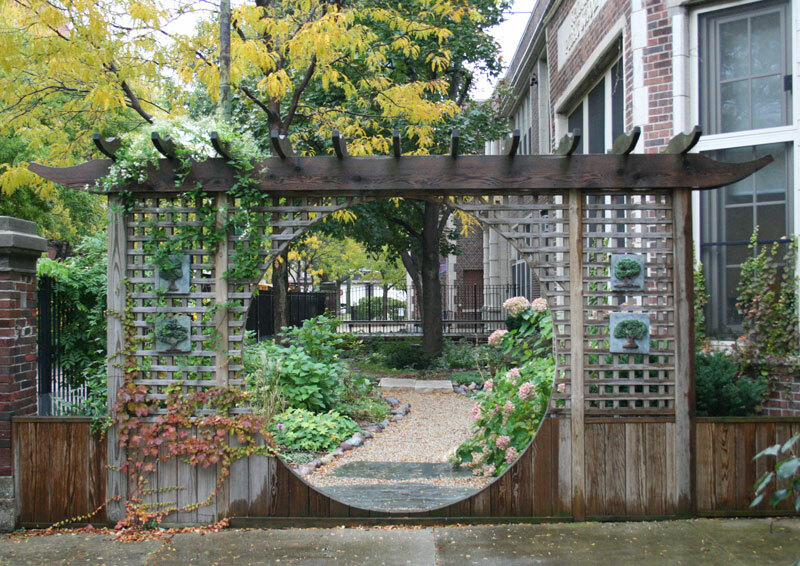 In November 2009, the Franklin Fine Arts Center (FFAC) in Chicago, led by Ellen Moderhack, was honored to receive both First Place for Schools in Region 3 and the top city-wide award of GARDENER OF THE YEAR in Mayor Daley’s Annual Landscape Awards program. 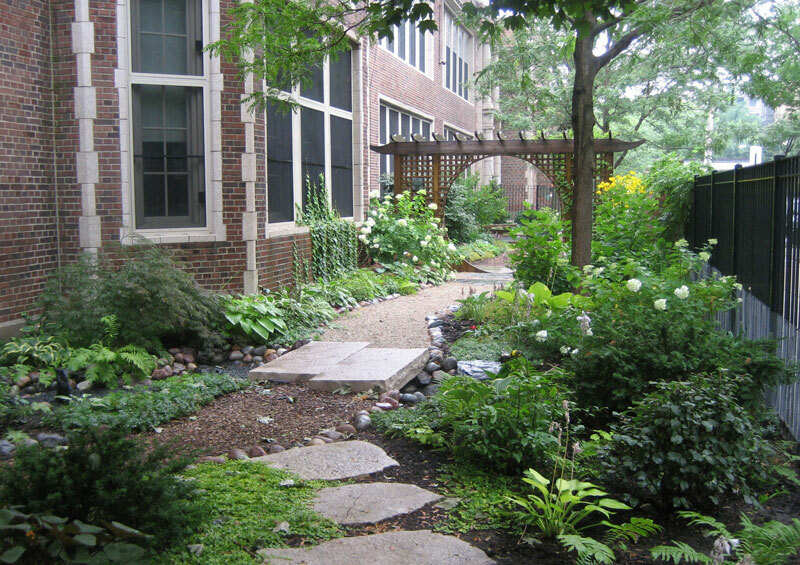 Ellen Moderhack was recognized for her work not only in designing, installing and maintaining the Franklin Fine Arts Center garden but also for her on-going collaboration with teachers and instruction of Franklin students in the areas of landscape design, gardening and plant information. 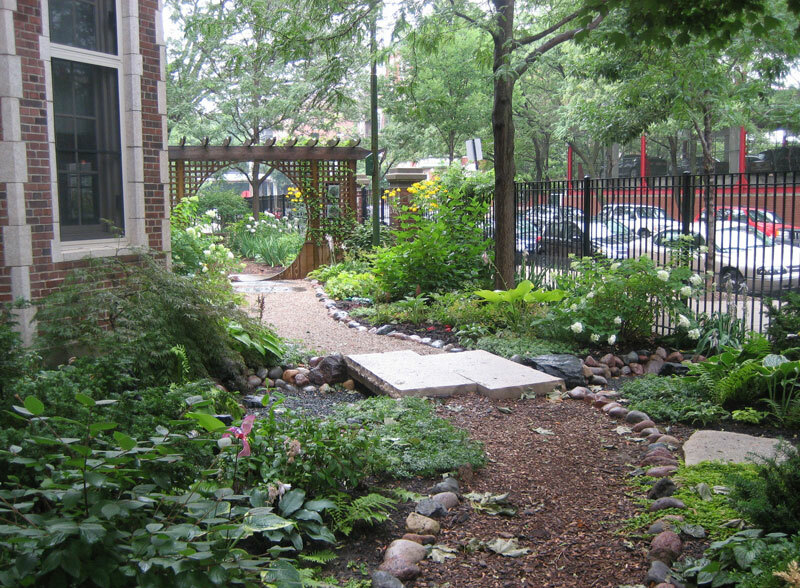 Each year Mayor Daley’s Annual Landscape Awards program recognizes the individuals, businesses, community groups, schools and other public institutions who contribute their time and energy to create green spaces that enrich lives, reduce noise and stress and create quiet places for people to enjoy. 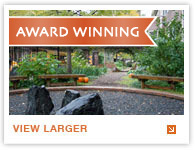 Listen to the November 15, 2009 Mike Nowak Show Podcast interviewing Ellen Moderhack here. 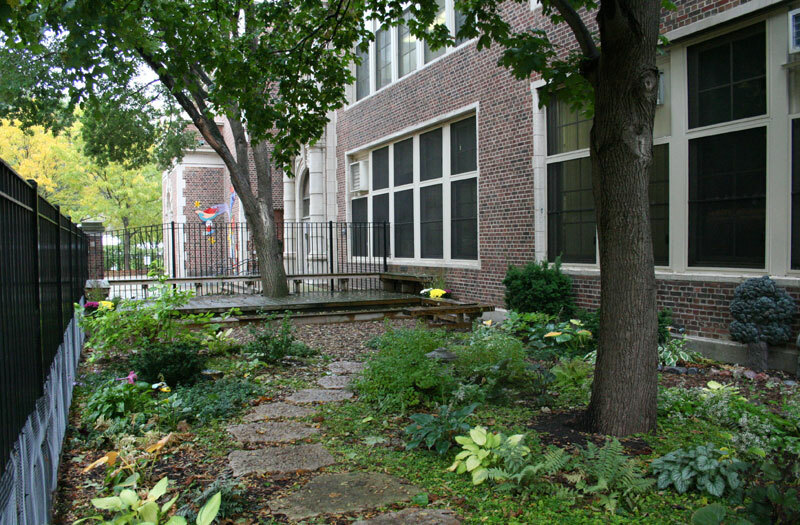 MODE designed and managed the installation of this unique public garden for the Franklin Fine Arts Center. 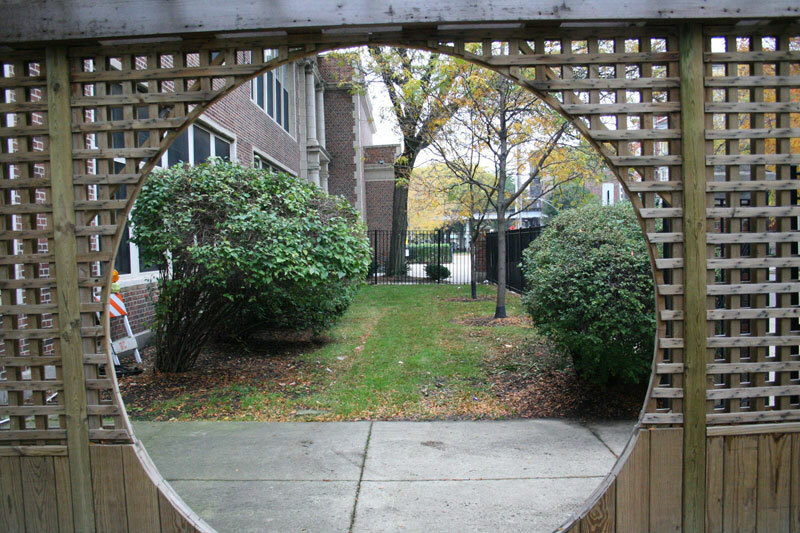 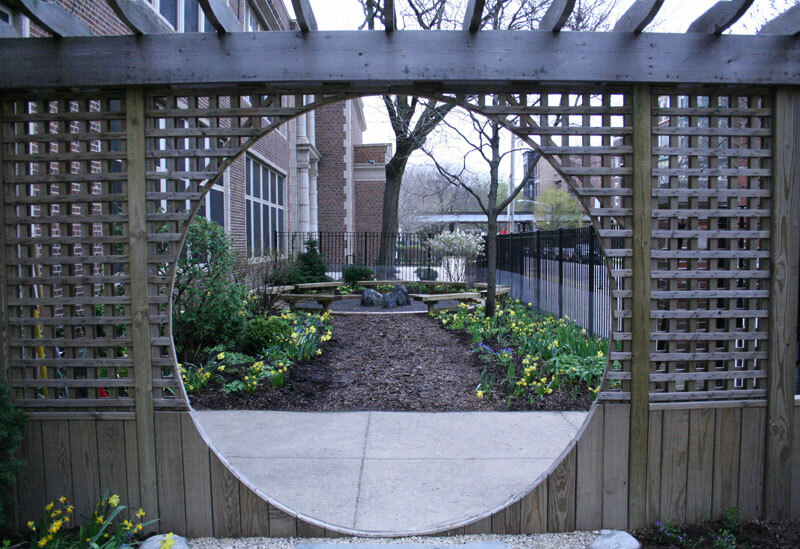 Using the previously installed Chinese moon gate for inspiration, MODE created a series of functional, Asian-style garden spaces for the entire school community to use. 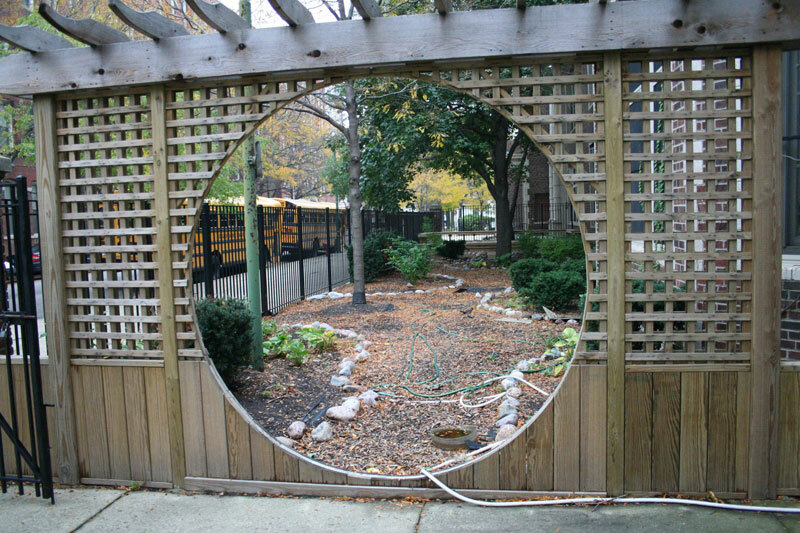 On one side, the garden features a traditional Japanese style dry pond with a stone slab bridge and two woodland pathways leading to an elevated classroom. 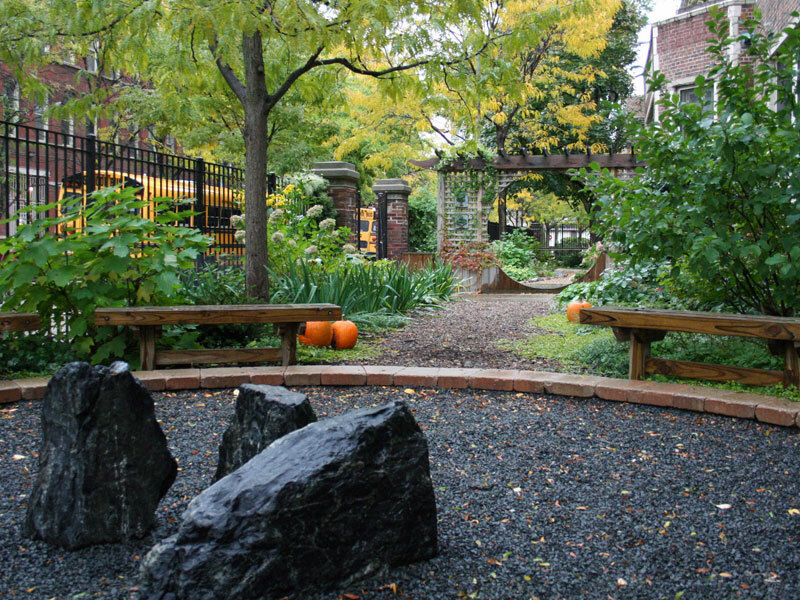 On the other side, a mulch path takes students to a circular classroom embellished with stone ‘islands’. 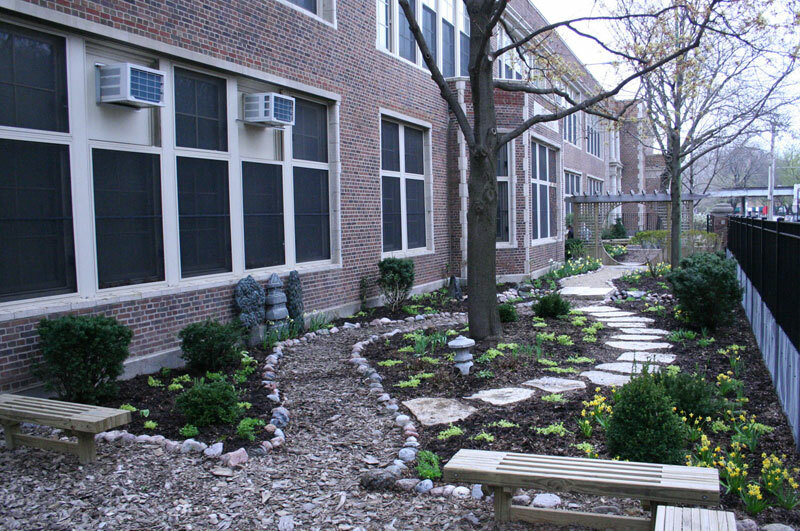 Working with teachers, parents and students, MODE amended the soil and installed many of the plants during a series of work days in spring 2007 and today continues to lead the on-going renovation and maintenance efforts of the garden committee.